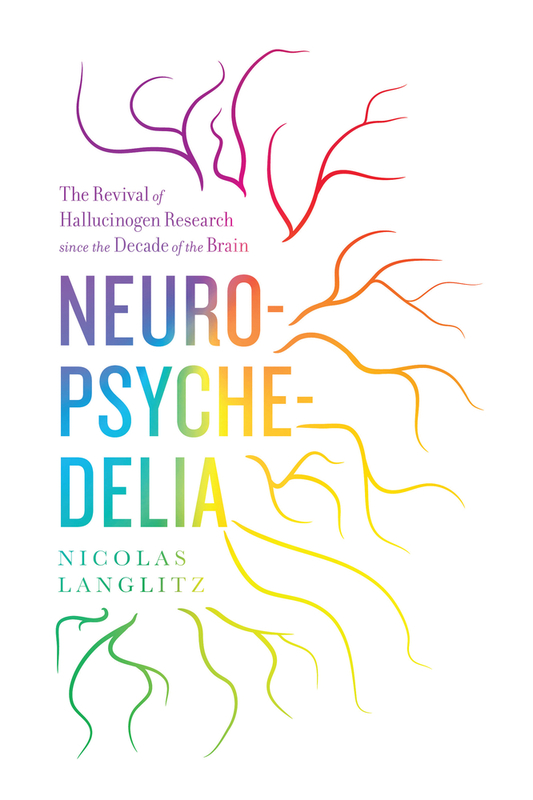 EDITOR’S NOTE: Nicolas Langlitz, an assistant professor of anthropology at the New School for Social Research, tells us what he discovered while researching Neuropsychedelia: The Revival of Hallucinogen Research since the Decade of the Brain (UC Press, 2012). Neuropsychedelia is about the revival of psychedelic research since the “Decade of the Brain,” i.e., the 1990s. It has a strong historical side revolving around the fact that psychedelic research basically broke down in the 1960s as a result of the political turmoil caused by the counterculture. Then, between the 1970s and 1990, there was no research on human subjects going on in academic settings, although there was a lot in underground settings. But in universities, the field was dead. Towards the end of the 1980s and the beginning of the 1990s, it came alive again. The book is about how this revival became possible and the new generation of psychopharmacologists and neuroscientists that made it happen. The book is also an ethnographic account of the work that is being done in these laboratories today, and as such it contributes to a growing body of literature on the practices of the neurosciences. It tackles a number of largely philosophical questions about the nature of neuroscientific research by looking at its practice. The book raises some critical questions about the use of randomized placebo controlled trials in psychedelic research. These challenges possibly apply to research on other kinds of psychoactive drugs as well. The third thing is that there is a personal dimension to the book, as I was trying to make sense of my own psychedelic experiences and two contradictory interpretive frameworks. These frameworks, however, are not personal, but cultural; so in that respect, I took an auto-ethnographic point of entry into a cultural field which ultimately enabled me to reflect on the larger cultural logic that we have constructed around these substances. Basically the conflict is: are these experiences mystical experiences, or are they psychotic? I interviewed people about how they, as staunch materialist neuroscientists, make sense of their own experiences and derive my own conclusions from these conversations. In that respect, the book goes beyond a merely descriptive historiography and ethnography. What role did personal drug experiences play in Neuropsychedelia? Drug research has had a strong self-experimental tradition going back to the 18th century and probably much further. This tradition only became a problem in the 1970s (and this is not just about psychedelics, but about psychopharmacology more broadly). So when Albert Hofman accidentally discovered LSD while working on ergot derivatives for obstetrics, he tried it out on himself, and this was a perfectly normal thing to do for an industrial research chemist. In fact, people told me this is something one expected from a vocational scientist, that they would try out drugs on themselves. This was true for both academic and corporate scientists. This changed by the 1970s. Of course, it also had to do with the fact that some people taking psychedelics developed biases in favor of the world view of the counterculture. But, more broadly, insurance started to play a role. And there was a consciousness of power relations— if you’re working in a company and you’re supposed to try everything out on yourself, there would be issues that, today, an ethics committee would regulate. At the time of my fieldwork in 2005/06, the researchers were still doing pilot studies involving themselves before they started an experiment with externally recruited test subjects. This would allow them to get a sense of how their test subjects would experience the experimental setting while on the drug. That has a very specific relevance for psychedelics because they’re supposed to open you up to your surroundings, and those are quite peculiar in a laboratory. The other part of the story is that psychedelics can induce mystical experiences of being in at one with the world, of ego boundaries breaking down, of feeling reconciled with the fact that you’re going to die—experiences often considered spiritual. Many neuroscientists had these experiences, too. But they also think of them as brain-based and somehow have to reconcile that assumption with an experience that seems to open up a cosmological truth. The most interesting conversations I had were with people who tried to articulate a materialist version of mysticism. In a way, being reducible to matter also makes your being at one with the universe. The breakdown of ego boundaries that is caused by these substances can either be interpreted as a mystical elation or an anxiety-provoking near-death experience because when you die, when your physical boundaries break down, you also become one with the universe. 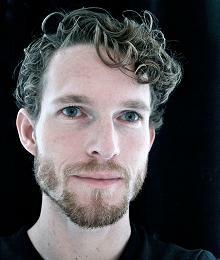 So there is an organic connection between a philosophical rather than religious brand of mysticism and materialism, which was articulated very eloquently in my conversations with the neuroscientists. As historians, I suppose they would be interested in the story of the breakdown and revival of psychedelic research. A lot of the literature on alcohol and drugs has been around the regulation of substance use and research. My initial intuition was that hallucinogen research broke down due to prohibition, but the research itself was never prohibited – it just stopped. Once you start looking into it, you come to realize that there are all these micro-practices that can also suffocate a field. Without openly violating the freedom of science, different kinds of political pressures can still terminate a strain of research. The following revival of this research is also an interesting story because it grew out of a transnational dynamic between the US and Switzerland, which both have very peculiar relationships with psychedelic drugs. In the case of Switzerland, the country traditionally has a much more liberal drug policy. It was the Swiss government, which made the psychedelic revival possible. At the same time, a lot of funding for these experiments came from California, where people who had made fortunes in the 1980s in the IT business had also taken part in the psychedelic counterculture.A lot of this money was pumped from the US into Switzerland where it also paid for drug safety studies, which were then used to convince American regulators to permit hallucinogen studies. Today, quite a few studies are taking place in the US. But they wouldn’t have been possible if Switzerland hadn’t prepared the ground in the 1990s. There are two things that still preoccupy me. One is an epistemological problem, which is how do you deal with complexity in a laboratory? In an experiment, you are basically trying to control for all the variables but the one variable you’re investigating. In the case of psychopharmacology, the gold standard are randomized placebo-controlled trials comparing the effects of a placebo with those of the actual drug in order to learn something about the drug. In the case of psychedelics, however, the effects are not simply produced by the drug but by a more complex network of factors producing very different outcomes. So you can either experience your LSD trip as a mystical elation or as a horror trip, and that’s not just a matter of interpretation, but it is also a matter of very different physiologies. If you’re in an anxiety-ridden, freaked-out state, your entire physiology will be very different than if you experience calm and serenity and oneness with the universe. This is not a matter of weak drugs giving a lot of room to subjective interpretations whereas strong drugs force their effects upon you. LSD, without any doubt, is a very strong drug, and yet it can take you into radically different directions depending on contextual factors. If this cannot be accounted for by placebo-controlled trials, then we should start thinking about alternatives to this methodological paradigm. I had a published exchanges in a German journal with a psychopharmacologist and a biological psychiatrist, but I’ve never really been satisfied with the answers they gave, or the answers I could give to them. Precisely because this is not very well worked out, it is one of the sections of the book, which continue to interest me and I hope that someone will push this part further. I’d also be happy to collaborate on this. Historically and ethnographically, my project focused on academic research on psychedelics. But there was also a tremendous amount of underground research on psychedelics from the 1960s onward, which became very lively in the 1970s and 1980s. There are a couple people working on this at the moment, but this is a pretty broad field. I think some historian of science should work on Alexander (Sasha) Shulgin’s development of hundreds of new psychedelic compounds.He and his wife are the authors of two books, PIKHAL: Phenethylamines I Have Known And Loved: A Chemical Love Story and TIHKAL: (Tryptamines I Have Known and Loved): The Continuation. Both books are half autobiographical reports, half cookbooks. The second half is always for chemists; they both are standard reference books in psychedelic chemistry laboratories. Whereas the first part is really about the love relationship between Sasha and Anna Shulgin, which was mediated by these drugs and their shared passion for experimenting with the substances that Shulgin invented. He determined their effects through self-experimentation. It’s one of the great chapters of anachronistic self-experimentation in the late twentieth century mixing up the history of science with the history of the counterculture. Shulgin was recognized as a major authority figure, both in the underground and in the academic field. His lab notebooks are all available online now. There’s also the whole clinical side of psychedelic research . I wrote about basic neuroscience research. The clinical trials with end-stage cancer patients and so on haven’t been covered. A number of major American university hospitals are involved in this, but there have also been underground therapists who treated patients illegally, which is another fascinating chapter in the history of medicine. So there are a couple of beautiful complementary projects that I hope other scholars will pursue further.